For the 2018 Rocky Mountain Audio Fest, SoundStage! founder Doug Schneider and I decided to split up the speaker coverage -- because there were a lot of new speakers at the show. You may have already read Doug’s coverage. Here’s mine, with all prices in USD. DALI’s new Oberon line of affordable passive speakers was on passive display at the CEDIA Expo in San Diego in September, but RMAF was the first time US audiophiles got to hear them. The Oberon 7 shown here ($1399/pair) combines a single 1.2" soft-dome tweeter with two 7" woofers with wood-fiber/paper-pulp cones. Elac’s Andrew Jones-designed speakers have been getting most of the attention in the US, but the company’s been offering German-designed speakers for decades. At RMAF, Elac showed the Vela BS 403 ($1998.98/pair), a compact, handsome bookshelf speaker with a 6" faceted-cone woofer and what the company calls its JET tweeter, which is essentially Elac’s variant on the popular AMT folded-ribbon tweeter. 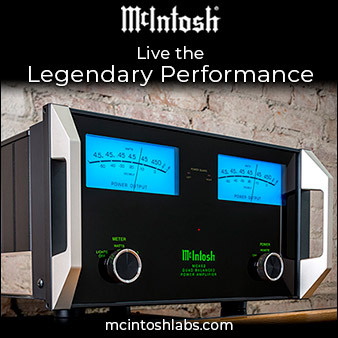 It’s available in gloss black or gloss white, and is said to deliver bass extension to 41Hz. The Tuk ($799) is the new top model in Kanto’s line of powered bookshelf speakers, but it’s really not just a speaker -- it’s more a complete audio system, serving up music with nothing more than a connection to a phone or other source device. 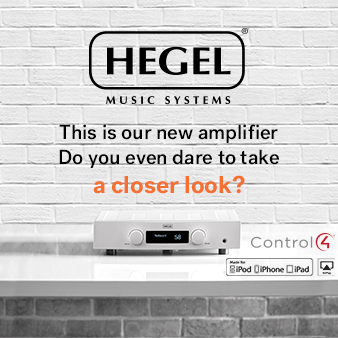 The electronics built into the left speaker (shown) include class-D amplification totaling 130W RMS, Bluetooth wireless with aptX HD, a DAC with USB and TosLink optical inputs, a line input, a phono stage, a subwoofer output, and a headphone jack. Each speaker has a 5.25" aluminum-cone woofer and an AMT folded-ribbon tweeter. Although Klipsch offers an extensive line of thoroughly up-to-date speakers, the company never stopped making and updating the classic “corner horns” originally designed by company founder Paul Klipsch in the 1940s and ’50s. 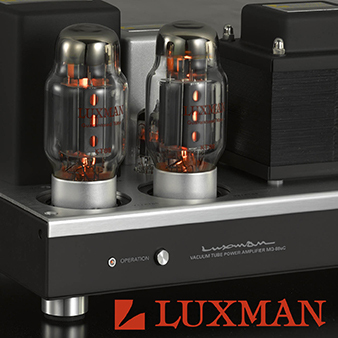 Recognizing that these ultra-high-efficiency designs are back in vogue among audiophiles, the company decided to demo the latest updates at RMAF, focusing mostly on the La Scala III ($9999/pair). Originally conceived decades ago as a P.A. speaker but promptly drafted into domestic duty, the La Scala III features a horn-loaded 15" woofer, as well as horn-loaded compression drivers for the midrange and tweeter. In the MkIII version, the tweeter and crossover have been updated, and the internal wiring is now supplied by AudioQuest. The dynamics these speakers conjured from a small Cary Audio tube amp were pretty incredible; I forgot to ask what the rated sensitivity is, but the previous II version was rated to deliver 105dB at 1m with a 1W signal -- about 18dB more than a typical speaker would output from the same signal. Nou isn’t a speaker company, it’s actually a driver company, created by speaker/headphone designer and Periodic Audio founder Dan Wiggins, along with Channel Islands Audio owner Dusty Vawter. The ultimate goal is for the company to sell its drivers to high-end speaker makers, but to get that rolling, it’s also offering them to DIYers. “We sell the transducers, and we’ll give you the plans and the crossover schematic for free,” Wiggins said. The speaker shown here has the company’s W130 5.25" midrange-woofer ($479/pair) and T25S shallow-dome 1" tweeter ($249/pair). The tweeter’s dome is made from silk, sputtered with a proprietary polymer-aluminum oxide formula that Wiggins says produces a tweeter with the treble extension of a metal-dome tweeter but the well-damped resonance of a soft-dome tweeter. The woofer . . .
. . . seems even more innovative, using a nine-segment faceted cone that Wiggins says prevents breakup (i.e., distortion). Instead of a pleated cloth spider to center the voice coil in the magnetic gap, it uses the plastic spider shown here, which Wiggins says is fully linear and doesn’t produce sound waves of its own, as a cloth spider does. A nine-magnet array provides the magnetic field. I thought Paradigm’s Premier 200B ($499 each) was clearly one of the best bargains at RMAF, delivering dynamics and soundstaging that made some of the tower speakers demoed at RMAF sound feeble. There’s nothing especially pretty about it, but I liked the simplicity of its vinyl-wrap finish, which the company calls Espresso Grain. (Its two other finishes are called Gloss Black and Gloss White.) 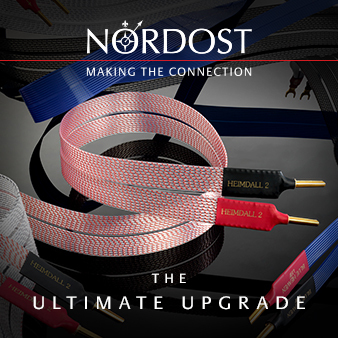 It incorporates many of Paradigm’s recent innovations, including a woofer surround with Active Ridge Technology said to increase output by 3dB and reduce distortion by 50 percent, and Perforated Phase-Aligning (PPA) lenses on the woofer and tweeter. It says a lot that a competing manufacturer whispered into my ear, “You gotta check out the Ryan room. It sounds amazing!” Indeed, it did. Ryan Speakers’ S610 ($3995/pair) is not particularly distinctive visually or technically; it’s simply the result of a great deal of analysis and fine-tuning. The 1" tweeter and 5.25" woofer are designed in-house using a Klippel distortion analyzer and scanning vibrometer. Constrained-layer damping keeps the enclosure from vibrating or resonating. 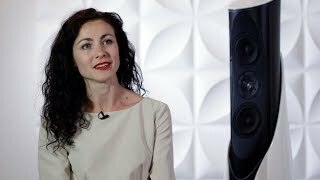 RMAF 2018 marked the US debut of Italian speaker company Sigma Acoustics. The company’s Orchestra 2.3 is a remarkable creation, combining a 5" AMT folded-ribbon tweeter mounted in an open baffle, an Accuton midrange, and a Scan-Speak Revelation woofer. The enclosures are shaped by a team of violin makers in Cremona, Italy. The cabinet has built-in acoustic resonators for the woofer and midrange that the company says allows positioning them up against walls without creating boomy bass. Prices for the Orchestra 2.3 run $28,750 to $38,750/pair, depending on finish. Parasound’s room featured the latest in Tekton’s line of speakers using the Tekton’s controlled-radiation, seven-tweeter array, which is intended to mimic the dispersion of a horn without the sonic colorations a horn can cause. This model is the Electron SE ($4000/pair). Besides the array of seven ring-radiator tweeters, it features two 8" woofers and two 4.5" midranges. 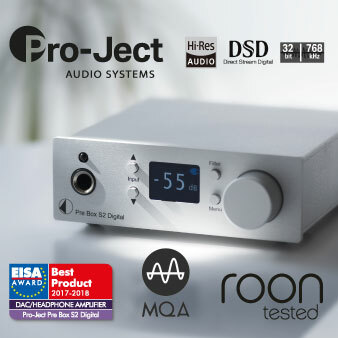 PS Audio is known mostly for its electronics, but the company used RMAF 2018 to announce its pending entry into the speaker business, with models based on the designs of the late Arnie Nudell, co-founder of Infinity Systems and founder of Genesis Technologies. According to PS Audio head Paul McGowan, Nudell worked on the prototypes you see here for 15 years. The design is most notable for its tunable midbass driver -- the 5.25" cone seen on the lower front part of the baffle -- which covers the range from 100 to 300Hz. Like the dual 12" woofers, the midbass driver is powered by an internal amplifier, and its level is adjustable, which should allow the listener to tune the bass response to suit different rooms and different speaker placements. McGowan plans three models, the smallest of which will be similar to the ones you see here; he projects the price will be around $10,000/pair, with larger models in the $20,000/pair and $50,000/pair ranges.